Discover definitive recordings of classical music with your trusted guide Rob Cowan. 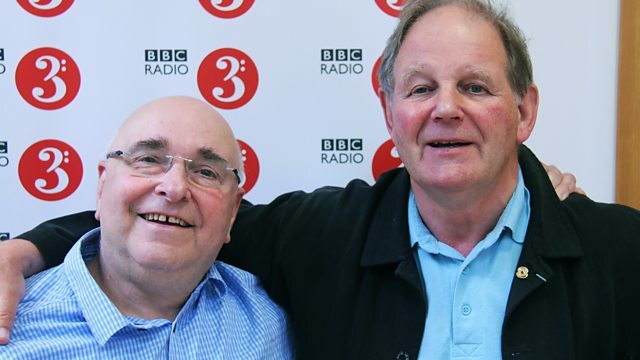 His guest is children's author Michael Morpurgo. Performer: Truls Mørk. Performer: Kathryn Stott. Music Arranger: Knut Nystedt. Choir: Norwegian Soloists' Choir. Conductor: Grete Pedersen. Singer: Marilyn Horne. Ensemble: I Solisti Veneti. Conductor: Claudio Scimone. Singer: Kenneth McKellar. Orchestra: London Philharmonic Orchestra. Conductor: Adrian Boult. Orchestra: Wiener Johann Strauss Orchester. Conductor: Willi Boskovsky. Music Arranger: Miguel Llobet Solés. Performer: Julian Bream. Performer: Andrés Segovia. Music Arranger: Miguel Llobet Solés.